'Light Source Upgrades at DESY: PETRA IV and FLASH2020+' (Article reference: Synchrotron Radiation News (2019), 32:1, 27-31). 'PETRA IV: the ultralow-emittance source project at DESY' (Article reference: J. Synchrotron Rad. (2018). 25, 1277–1290). The "Diffraction-Limited Storage-Ring (DLSR)" workshop, organised at DESY from 9-11 March 2016, was the fifth workshop in a series addressing the science and technology of building and using the next generation of storage rings, like the planned PETRA IV. About 140 scientists from more than ten synchrotron radiation sources worldwide came together at DESY. The first workshop 'Science at PETRA IV' took place at DESY from 23-24 March 2015 in order to discuss the scientific opportunities provided by such a light source. 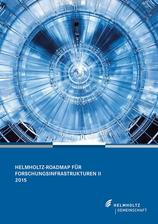 "Helmholtz-Roadmap für Forschungs-infrastrukturen II 2015" (in German) - PETRA IV see page 44. Nature is complex. The fundamental processes that determine everyday life, ranging from biological processes in living cells and light harvesting in photosynthesis to phase transformations in materials and friction in engines, encompass an enormous range of length scales, extending from atomic distances to macroscopic dimensions. The grand challenges to solve key global problems in the fields of health, energy, transportation and information technology are intimately related to an understanding of these processes and the underlying fundamental interactions. Missing links, that connect properties on the nanoscale with those observed on macroscopic dimensions, prevent essential breakthroughs in these fields. The scale-bridging imaging of structures and their dynamics under in-vivo and working conditions is therefore indispensable to unravel emergent functionalities in nature. A true progress in these fields will only be possible if the huge range of length scales can be explored simultaneously. The PETRA IV project at DESY aims at building a unique light source to enable such groundbreaking studies in a multitude of disciplines. To reach these ambitious goals, DESY plans to convert the PETRA storage ring into an ultralow emittance synchrotron radiation source, able to provide beams of hard X-rays with unprecedented coherence properties that can be focused to dimensions in the nanometre-regime. The outstanding coherence of the PETRA IV beams allows to observe correlations in materials over mm length scales, while the ultrasmall focal sizes will reveal structure and dynamics in the nanometre range. Combined with diffraction methods in the same setup, one obtains a revolutionary scale-bridging approach covering a wide range of spatial dimensions to tackle essential open questions in all of the natural and engineering sciences. The DESY Machine and Photon Science divisions have a longstanding experience in the design, construction, operation and application of cutting-edge accelerator technology at the forefront of research with synchrotron radiation. Both groups have teamed up to determine the design parameters for PETRA IV.